It may come as a surprise that winter is often the best time for planting trees and hedges. This is because you can buy dormant, bare-root plants that are freshly dug up from the nursery fields and these establish easily at this time of year. 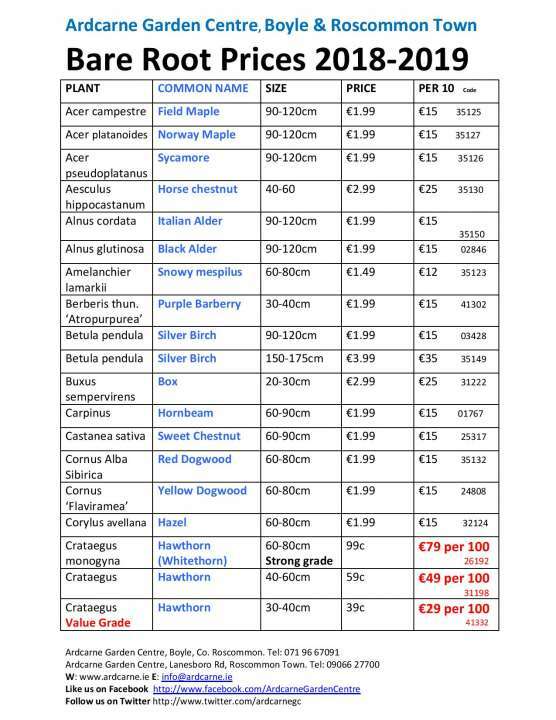 Compared to potted plants they are also more economical to buy, especially if you are putting in a hedge. Bare-root Beech from only 99c and Hawthorns from only 39c. The first of these bare-root hedging and tree saplings are arriving at Ardcarne Garden Centre mid November and we have a huge selection this year, including the ever popular beech and hawthorn which are great for hedging. 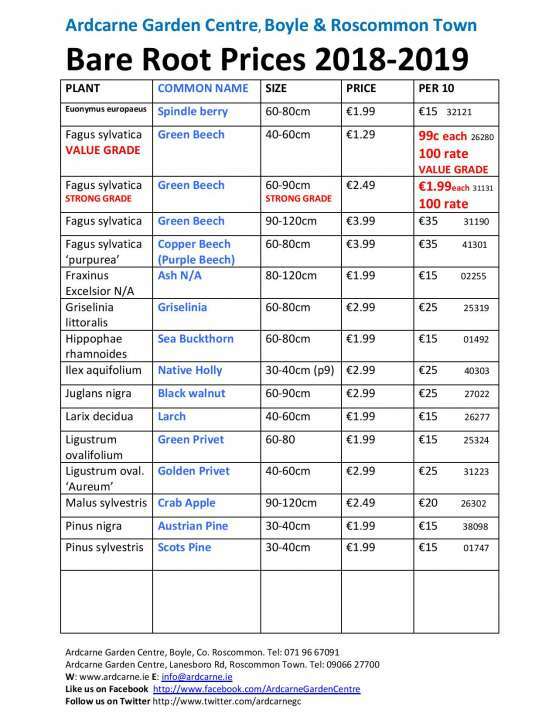 We also stock a wide range of bare root Fruit and Nut Trees at €18.99 each or 3 for €50. They will be available from the end of November. 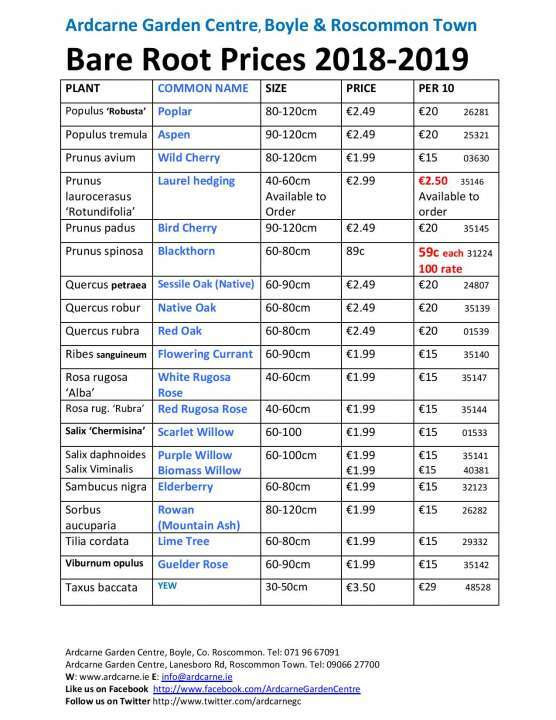 We will also be stocking Native Trees specifically for the Glas Scheme.